The mix of companies showing at the Venetian varies from the super exclusive to the more main stream. On that note, the next room was Technics. 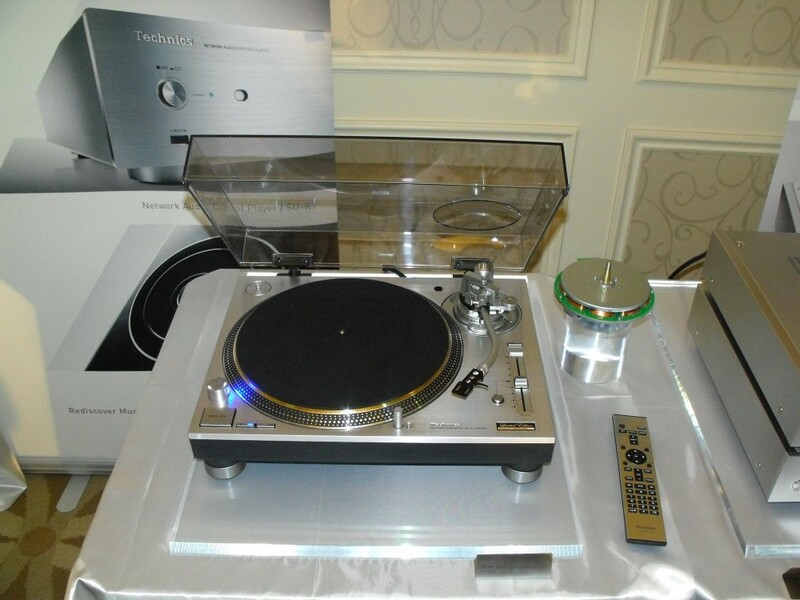 I was happy to see the long awaited return of the Technics SL1200GAE. 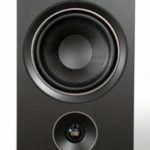 They have a new table that is completely redesigned and has moved from the pro market to the audiophile analog market. It has been completely redesigned with new magnesium tonearm, new core-less motor, improved counter weight, a new damped precision machined platter. The price point has changed from under $1000 to $4000 for the new model. 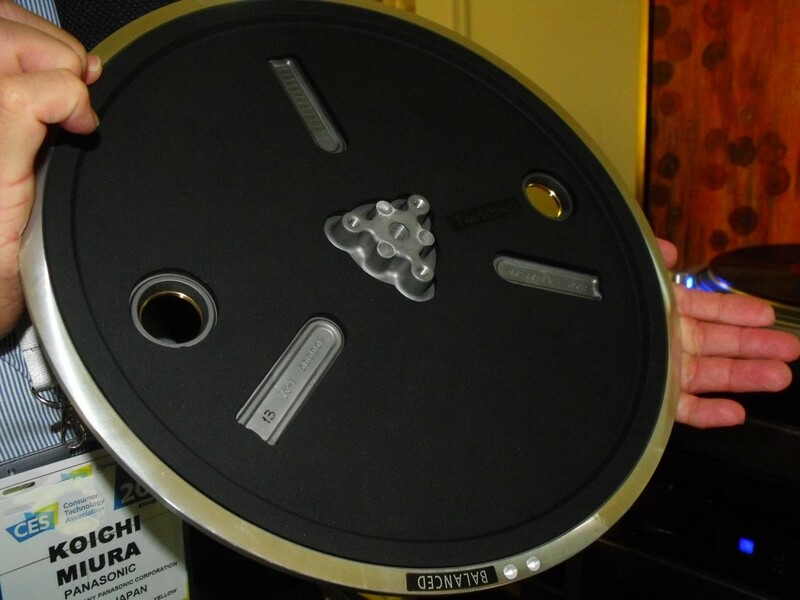 I am sure there will be lots of controversy over this new table, as I expect the old controversy of Belt versus Direct drive is bound to be re-visited by many. 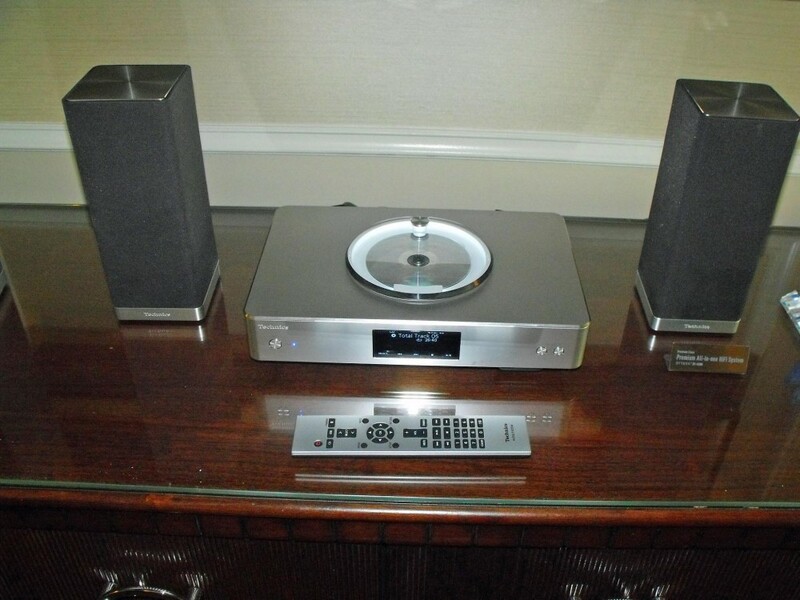 Another very different part of the market was represented with the new Technics Ottava ($2500), a Premium all-in-one HiFi system. It seems to be aimed at the Bang & Olufsen buyer. It is stylish and well built, with lots of interesting features. The unit features 100W, built in CD player with premium DAC and USB input. 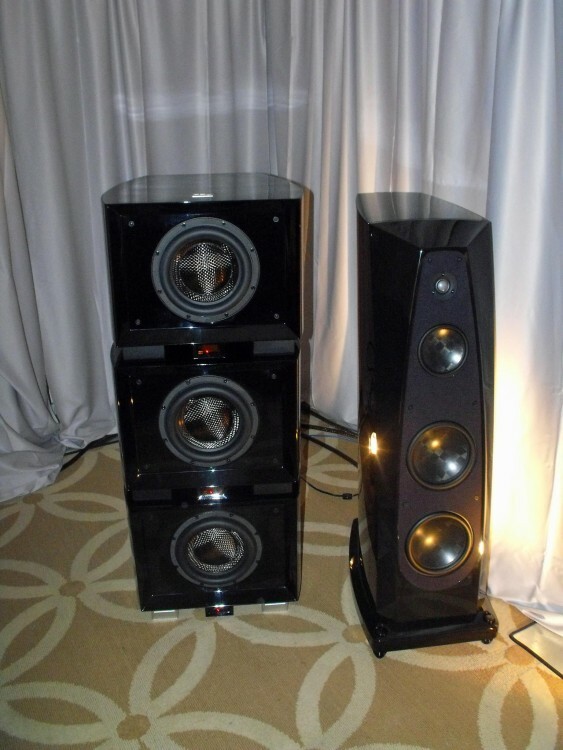 The speakers are unusual with dual woofers and a unique spiral acoustic tube mounted between the two small woofers. They also have multi-angled tweeters for 270 degree dispersion. Overall I thought they sounded quite respectable for the size of the system. REL was showing a rather serious dual stack of three woofers per side. Check out the photo. They managed a much larger than life sound stage. Impressive to be sure, but I would have preferred a more realistic sound level. 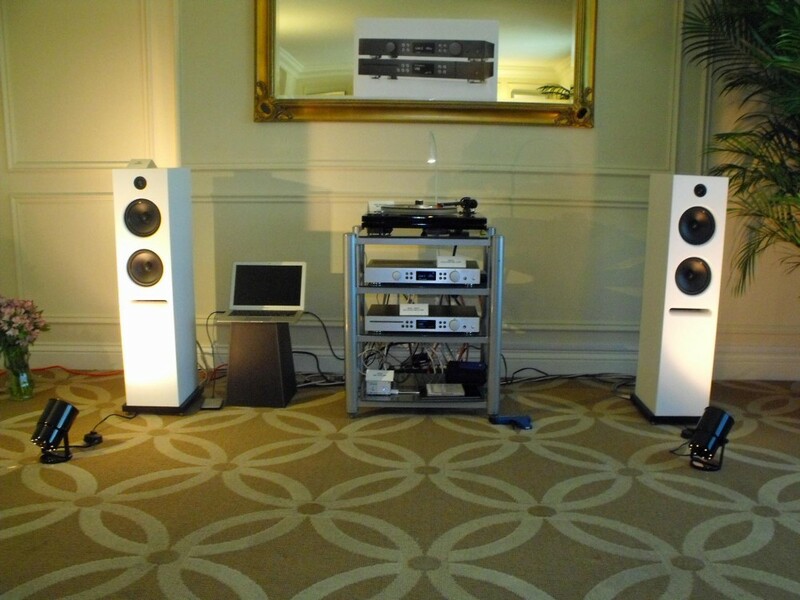 But if you want to impress even your most critical audiophile, this system will do it in spades. 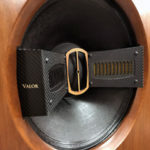 The speakers were Rockport AV10Rs at $34,000 a pair, driven with PS Audio Transport, DAC, Preamp and Mono blocks all totalling about $50k and everything was wired with Audioquest. The woofers are the REL G2s at $4,000 each. The entire system totaled about $125,000 approx. Billy Idol in Studio as I said before was bigger than life. It had incredible air and detail with amazing depth of stage. The bass (which is what I was there to hear) was everything one would want or for that matter dream of. 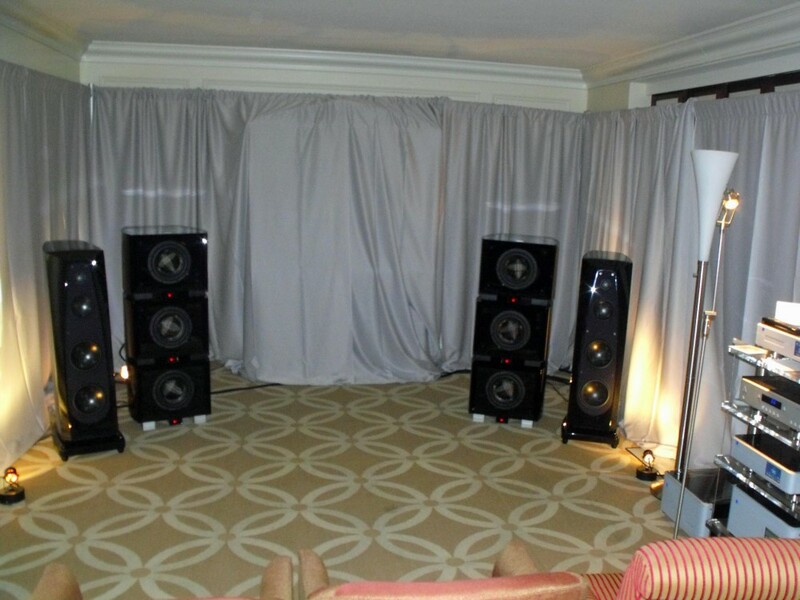 Then again we all were listening to $24,000 of subwoofers. I could only imagine what the system would have been like if they used the G1s instead. what I would expect on a system at over seven grand retail. I think a much better cartridge would reveal far more of the system. Alabama Shakes “Don’t Wana Fight” displayed a better image, but still lacked the tight focus I would have liked. But the one word I think stands out is still overly soft. Again I think a better cartridge would have made a huge difference. For those of you that remember Monty Python… And now for something completely different. The last room I visited was Atlantic Technology. They were showing the 3.1SHB with “H-PAS” a 3.1 semi-passive sound bar. I say semi-passive because the built-in sub-woofer is powered. 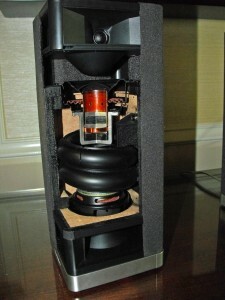 It uses three d’appolito speakers each with dual 3.5” mids, 1” silk domes and the woofer is a 6.5” long throw driver. 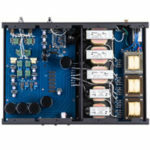 H-PAS is a hybrid pressure acceleration system similar to a Thiel/Small loaded enclosure. It is also powered by a 50W amp. 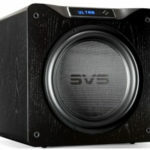 The speaker retails for $799 and needs to be used with a conventional surround receiver. One convenient feature is you can also place your flat screen TV on top if its enclosure. Pretty impressive performance over all. 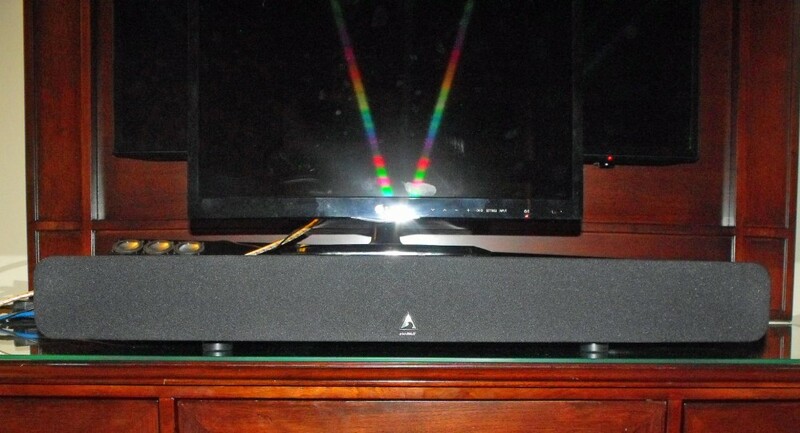 The sound bar had a large sound-field well beyond and above the speaker itself. I was impressed with it’s performance in stereo, but it still is only a 3.1 and can truly benefit by a pair of rear speakers. In years past I have felt that most of the rooms at the Venetian Hotel have for the most part been less than exciting. I have said many times that I think whomever put the room together obviously never sat down and listened to the room before they opened the doors for the show. But this year something miraculous must have happened, because most of the rooms I spent time in, with very few exceptions, actually sounded good to excellent. As a reviewer I am not sure if that is good or bad. But I thought I should at least say that. Maybe I am just getting old and beginning to mellow out. Well the show is almost over, with only one day left. Tomorrow I plan to sort of wander around and see if anything looks or sounds interesting. If so, look for my next segment.